Are you too hot or too cold in your home or office? This could be an indication that your air conditioning or heating is not working properly. If you hold off on making the repair, you could fatally damage your air conditioning and heating system AND it will most likely cost you more on your power bill. Don’t delay… CALL US TODAY to take advantage of our air conditioning and heating specials. 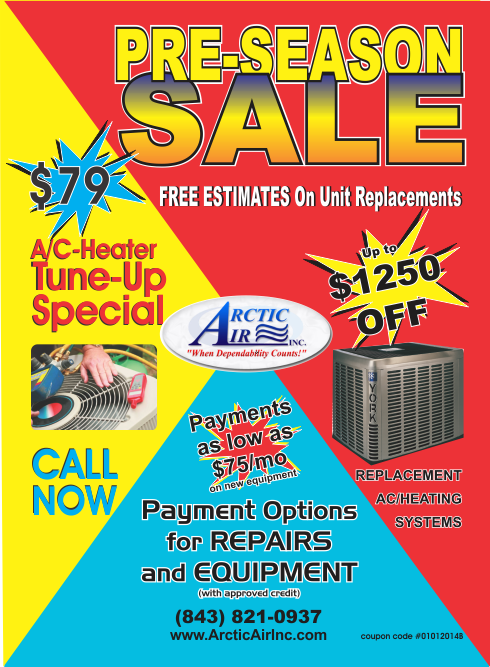 Pre-Season Sale on Air Conditioners / Heat Pumps / Furnances – Low Monthly Payments – Tune up special!